I made this recipe up this afternoon because I had a bunch of produce in my fridge that needed to be used within the next couple of days. 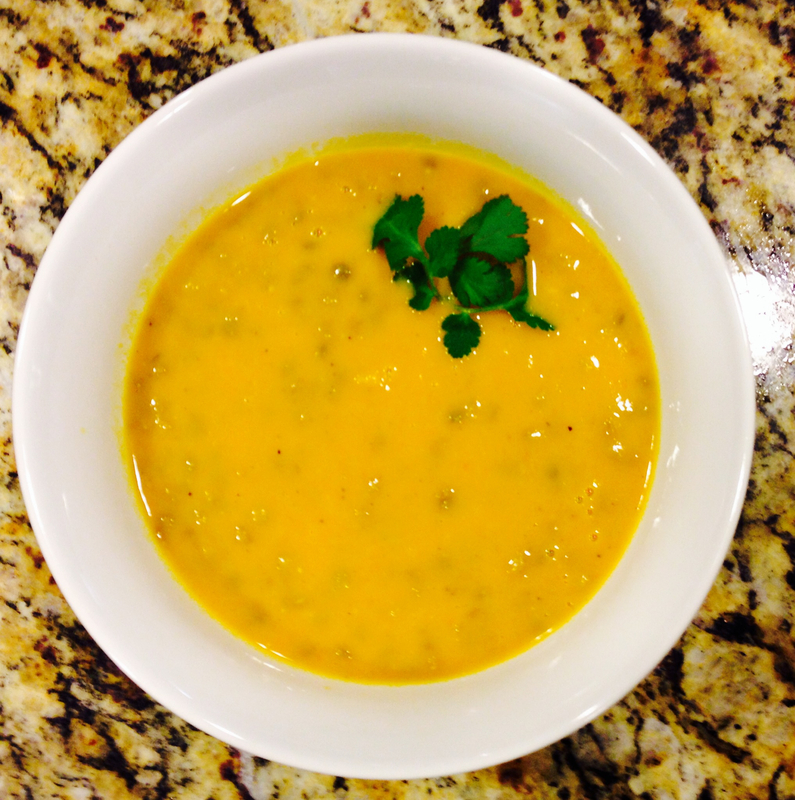 It turned out to be very tasty, plus you get the added bonus of lentils which provide you with fiber and protein! Steam carrots, turnip, sweet potato, and parsnip until soft. Heat up butter/ghee and add minced garlic, ginger, garlic powder, turmeric, cumin, and salt. Cook on medium-low, adding fresh rosemary, thyme, and sage after 2-3 minutes. Continue cooking until garlic becomes fragrant and begins to brown. Place steamed root vegetables, broth, water, and spiced garlic butter into a blender or Vitamix. You may need to do this in batches, as this recipe makes a pretty large pot of soup. Blend thoroughly until everything is pureed. Pour pureed broth into a large pot on the stove and add cooked green lentils. Heat, and season with additional salt, pepper, garlic powder, cumin, or turmeric, if needed. Enjoy! Tip: This recipe yields a lot of soup, so I recommend freezing half of it and enjoying it later!